With the vast array of recreational and technical diving courses on the market from numerous training organisations, knowing which ones to complete can be a potential minefield. So what courses should you consider doing and is there really any substitute for simply gaining valuable experience via hours in the water? Looking back over my diving life, I have done some pretty irresponsible things, mainly as a result of lack of knowledge. The decompression dive on the SS President Coolidge wreck in Vanuatu as an inexperienced Advanced Open Water diver without a dive computer. The series of deep dives in Thailand after two hours of sleep and a banging hangover. The list goes on. When I was inexperienced and had limited qualifications I always thought that the Dive Guide would look after me – it was their responsibility, not mine. Interestingly enough, it was not until I completed my Rescue Diver course that my view changed. I realised that I was responsible for myself, my buddy and, in fact anyone else that I had contact with in a diving environment. If anything went wrong, would I be able to deal with it? For me, the Rescue course is one of the best courses available and I recommend that everyone should at least complete their Rescue course as a minimum. Not only does the Rescue course provide you with invaluable in-water skills and rescue techniques, it also arms the participant with a sound knowledge base of diving related incidents and medical treatments. Arguably, the most important skill I believe it teaches you is the ability to anticipate and prevent problems before they occur, whether for yourself, your buddy or another diver. For those contemplating the Rescue Diver route, my personal view is that you should complete Open Water and Advanced Open Water courses relatively close together and then go away and gain some valuable experience in the water prior to completing the Rescue course. Now aside from the Rescue diver route, there are of course many different Specialty courses that you can complete. As a Rescue diver, you will be qualified to dive to just 30 metres and you may, therefore, want to complete the Deep Diver Specialty certification to get a 40 metre recreational ticket. This will provide invaluable dive theory, deep dive planning and you’ll get to experience the narcotic effects of depth whilst carrying out various skills with an instructor. (Read my article on Nitrogen Narcosis here). If you dive in first world countries, you will generally only be allowed to go as deep as your qualification, so definitely worth bearing in mind. In none first world countries, qualifications may not have as much significance and allowed maximum depth limits may therefore be beyond your level of training. Bear in mind, however, that if you are not qualified to go to the depth you are diving at, you are certainly taking a risk. Also consider that if anything happens, your travel and dive insurance may become void! The Enriched Air course is also a valuable qualification to gain depending on the diving you wish to do. Enriched air diving has the benefit of increased bottom time by lessening the amount of nitrogen absorbed by the body, particularly useful if you are doing multiple dives. The Enriched Air certification can also be a great benefit if you plan on doing liveaboard diving trips where, for instance, accumulated nitrogen caused by multi day dives can cause significant fatigue. Other Specialties include Night Diving, Wreck Diving, Navigation Diving, Underwater Photography and so on. While these courses serve a purpose, the level that they are pitched at is generally that of a relatively inexperienced diver. If it’s something you have never done before, they act as a great introduction to a new skill. For me, when it comes to different specialties, there is no substitute for hours in the water and gaining valuable experience in that particular type of diving. Some of these courses can, of course, be a great deal of fun and what you get out of them will, to a certain degree, depend on your instructor and what they put into the course. With this in mind, do not discount such Specialty courses. If you want to gain a vast array of experience quickly, I can certainly recommend such Specialty courses to you. In summary, if you want to improve your skills, aside from completing your Rescue course, go diving more. There really is no substitute for hours in the water. Share your thoughts on Qualified vs Experienced, which Dive Specialties you have done and which you’d recommend to others in the comments below. While interesting I feel your article lacks a bit of balance and tends to read more like a PADI advertisement. It’s curious that the two examples you give regarding lack of awareness early in your dive career are both covered during the open water course. Ie all dives should be no-deco dives that follow a plan (or computer) and you should be well rested and avoid drinking prior to any dives. Is this the fault of the diver, or should more emphasis be placed on safety during the initial courses. While I agree good training is worth it’s weight in gold, there is a point where experience counts for much more. One of the problems when discussing experience that tends to be overlooked is the quality of this experience – for example 20 reef dives in Qld on holidays alternate years with an instructor does not compare to the same no. 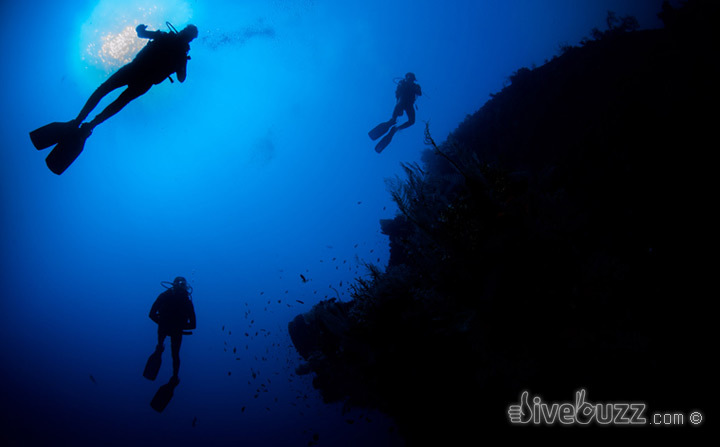 of dives more regularly in temperate waters with a club or group of friends. It would have been nice for your article to also cover the benefits gained from experience. In fact going back to your original examples, do you believe it was solely the rescue course that made you realise what you did wrong or did experience help cement the idea? Hi Eric, thanks for your comments. So, far from reading like a PADI advert, I think my whole article leans more towards gaining valuable experience. I agree with you in that the type of experience gained has a great influence, but that is a whole other article. Obviously, the irresponsible things I did when I was an inexperienced diver became more apparent as I gained more experience. My reference to the Rescue course was referring to the fact that, for me and for many others, the Rescue course is often the turning point in attitude, when you start to become a more responsible and self-sufficient diver. So I highly recommend that course to everyone. You say ‘the rescue course is often the turning point in attitude’ – is it best then to consider doing a rescue course early on, say, soon after AOW at say 20 – 50 dives, to ensure that a more responsible attitude is assumed at an early stage OR after considerably more experience, say, 100-200 dives when your experience helps you get the most from the course? OR indeed do the Rescue course twice!? Hi Karen, thanks for your comments. I’d probably suggest, in a perfect world, the Advanced course can follow straight on from the Open Water (it is, in fact, the Advanced Open Water course). Then, when I say go and get some valuable experience, I think 50-60 dives would be sufficient for you to get the most from your Rescue Course. You definitely do not have to log 100-200 dives – after all, you can start a Divemaster course with 60 logged dives and an Instructor course with 100 logged dives. If you wait until you have logged that many dives, it will be harder to stop any bad habits you may learn from the Rescue course!